If you’re like most people, you don’t have a lot of free time, and when you do have some, you would rather spend it relaxing, right? 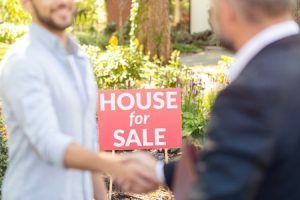 Now what if you plan to put your house on the market? You take a look at your yard and think, “This could use a clean up. But I don’t know if I want to tackle such a project.” That’s the time when you call a professional landscaper to come take care of your landscaping! Hiring a professional landscaper, like VistaPro, can help make your life easier. Let them take the time to clean up your yard and make it look nice. They can remove dead bushes. They can add mulch where it’s sorely needed. Have them repaint the front door and plant pretty flowers. Does your yard have “dull patches?” If so, that doesn’t look good. Why not have a landscaper turn dull patches into flower beds to spruce up the look of the yard? Indeed, landscapers have a way of freshening up the look of things with the introduction of thoughtfully-placed flowers, plants and mulch. And they’ll do their work in a way that makes your yard look well-maintained and cared for– bonus! If you’re like most people, you don’t know too much about what works where… in other words, what are the best plants for your yard? What are the easiest ones to take care of over the years? Plants should be planted in places where they “make sense” and don’t end up making the place look awkward. Get a “designer’s eye” when you hire a professional landscaper like VistaPro. Finally, hire a professional landscaper like VistaPro before you try and sell your house so that it will ultimately make a great first impression. Taking the time and money to improve the look of the place can truly catch the eye of buyers. The nicer it looks, the more it’s worth!